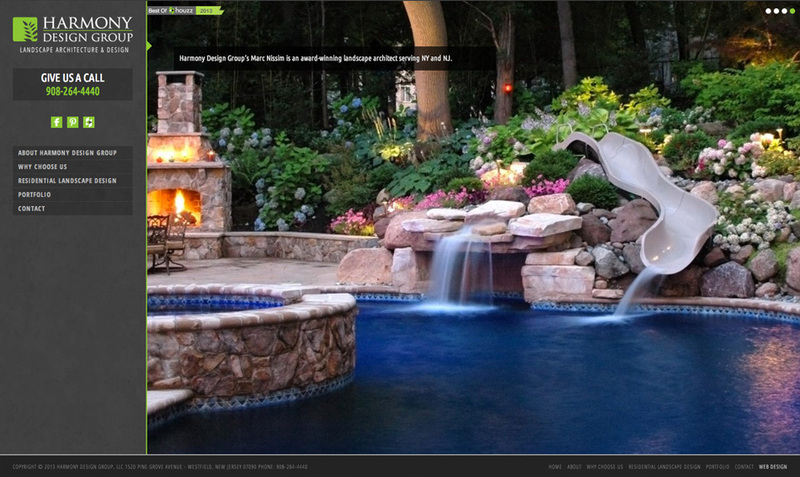 Harmony Design Group is a landscape and architecture firm based in New Jersey. The primary goal of Harmony’s new website was to create a more visual experience that would be easy to maintain and update while also conveying a high level of professionalism. The new Harmony website utilizes the WordPress CMS as well as a flexible content system that allows for pages to have a variety of sections and customizations, making it easy for anyone to upload photos, text, and content such as new articles and press releases.